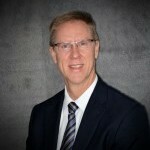 Kent has a B.S Degree in Construction Engineering from Iowa State University and joined the ACI team in 1983. In his tenure at ACI, Kent has managed industrial and manufacturing projects across the country. Kent specializes is preconstruction services and leads an outstanding group of project managers and project engineers. Outside of ACI, Kent is the current Chair of the Construction Engineering Industry Advisory Council and is also the Chair of the Iowa Chapter of Associated Builders and Contractors. He has worked with Habitat of Humanity building their first ADA accessible home in Iowa.